Happy Sunday, Readers! How ya doing? Feeling the stress of finals already? I sure am… I’m five papers and one portfolio deep in words, words, words. So I’m about to give you some more words to read! Here’s my second post about music, except this time we’ll be dissecting the different types of music to listen to while doing different activities. Let’s get started! Scenario 1: What am I doing? Working out, any time of the day. Mood: ENERGETIC. Lots of energy whenever I decide to work out or go on a run. For this, we need something very upbeat to get through the endless circles at the Dow or crunches in your bedroom. Scenario 2: What am I doing? Walking to work, 8:00 a.m. Mood: Taking into account the chilly air and the sleepiness from waking up just 37 minutes ago, my mood is unmotivated. For this activity, we need something that’s a little deeper and soulful. Not quite upbeat, but not so dreary that I fall back asleep on my long walk. Scenario 3: What am I doing? Anything around my house (maybe cleaning or doing laundry) or in the library between the dates of November 27th and December 26th. Mood: Christmas joy. During this time of the year, the best music is Christmas music, am I right? For these types of activities, we need straight up holiday jingles. But lets give it a twist because the classics get a little worn out. And there you have it for what to listen to for different activities as you go throughout your day! Try these different tunes out and let me know if you have any suggestions for me. I love getting new stuff to listen to! 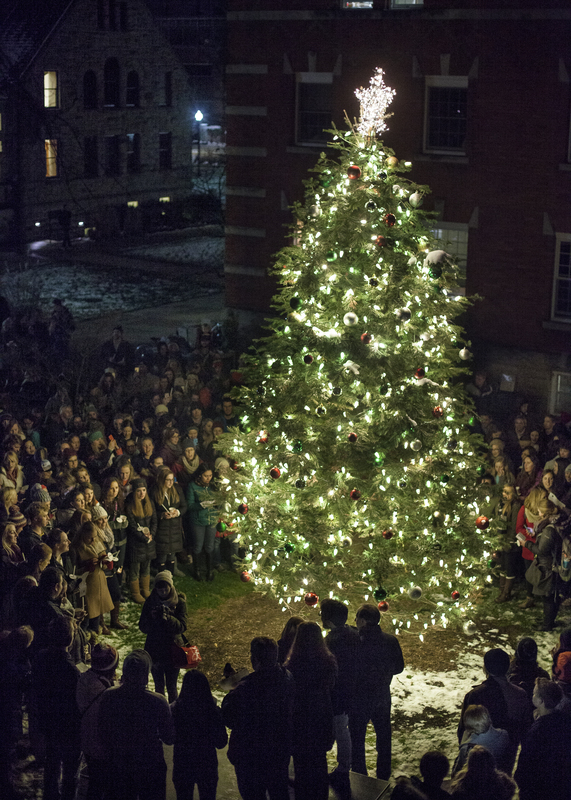 Enjoy this last week before finals, Readers! Hello Readers! Happy Wednesday from my (unproductive) study session! I think many people would agree with me when I say that I’m beginning to realize how much I actually have to do before finals week. So naturally I’m procrastinating even more until crunch time actually begins. And how do I procrastinate you may ask? Why, listen to music of course! Specifically, Spotify. (Praise!!!) No one can make it through such a grueling procrastination time without a little background noise. Now, if there’s one thing I really, really, REALLY want you to know about me, it’s that I take my music very seriously. I don’t just “throw on” whatever I feel like on a whim. There are specific genres, Spotify playlists, bands and songs I listen to when I’m in different moods or doing different activities. Honestly though, as a side note, I think that everyone should take their music seriously because it’s a crazy-good art form that is different from anything else. Think about it – someone made a beautiful noise by just plucking a string in different ways. Too cool. But I digress. So, what I’m going to give you guys for the next few posts is a list of music for different times of the day and different moods that I’m in broken up by Spotify playlist, bands, and songs. Hopefully it gives you guys some different tracks to listen to and expands your horizons a little bit. Also! If you have any suggestions for me to write about, don’t be afraid to email me – I’m always open to new tunes! So without further ado, here we go. Scenario 1: Where I am: Still in bed, 7:00 a.m. (music comes on right away when I wake up.) Mood: Sleep. I’m going to be honest, there isn’t really a mood at this point, so that’s why I have to let music determine it. 🙂 For this place/mood combo (which is the hardest for me to decide) we need a real mood maker, but not something so overbearing that will make me think too hard. In the same breath though, we don’t want something too fluffy either – that’s just an annoying day-starter. This is one of my go-to playlists for the mornings when I have to work at 8am. It’s a great mood setter. Scenario 2: Where I am: The Kletz, 1:00 p.m. Mood: Content because I have a lot of things done and am writing (always a good sign). For this place/mood combo, we need something a little bit more upbeat since I’m in higher spirits, but, taking the dreary weather into account, we’re not going for just-got-my-first-job upbeat. Scenario 3: Where I am: Doing homework in a cubby on the third floor of the library, 8:00 p.m. Mood: Worn out. It’s been quite the day, and I’d rather be home hanging out with my friends than doing homework. For this place/mood combo, we need something to wind down the day, but still keep me happy to be awake and centered on my homework. This is the playlist for my library nights, right when I’ve finished dinner. I like to believe that it helps me digest my dinner better. In my next post we’ll be covering the ideal tunes and genres for the different seasons – one of the most controversial topics of musical discussion in my book. Let me know if you have any thoughts, opinions or music, as I’d be happy to chat you up about it and use your ideas! * For those of you that were wondering, the title is in reference to the 57 playlists I have on Spotify. I knew they’d pay off someday. Review of “Modern Vampires of the City”! Hi Everyone! 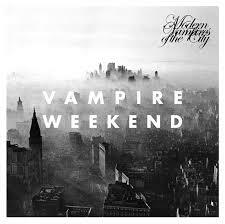 For my post, I’m going to review a recently released album by one of my favorite bands, Vampire Weekend. Vampire Weekend formed in the mid-2000s when the four members met at Columbia University. Their earlier albums, Vampire Weekend and Contra, have a distinguishable up-beat, afro-pop sound coupled with witty, intelligent lyrics. They keep their lyrical charm on their newest album Modern Vampires of the City while moving towards a more philosophical, dark sound. The eery, mysterious “Hudson Bay” recounts the death of “Hudson”, while “Everlasting Arms” expresses doubt in God and the human desire to live forever; in this sense, in Heaven. Several others song like “Step” and “Worship You” continue the conversation on these topics. I would pick a few songs to recommend from this album, but honestly I can’t pick just a few! Modern Vampires is most beautiful and lyrical as a cohesive whole, so I recommend that you listen to the album in it’s entirety. Do you listen to Vampire Weekend? What do you think of Modern Vampires of the City? Let me know in a comment or on Twitter! Posted on November 19, 2013 November 20, 2013 Author Rachael KabagabuCategories Campus Life, Faith, RandomTags album review, music, Vampire WeekendLeave a comment on Review of “Modern Vampires of the City”! Lollapalooza/Last Post of the Year!!! Yes, I’m going to Lollapalooza this summer! 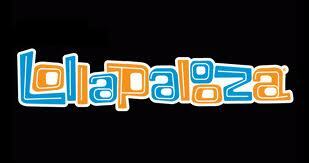 For those who don’t know, Lollapalooza is a three-day music festival in August held in Grant Park in Chicago, Illinois. This isn’t your average summer band concert in the park; thousands of people come from all over the world to go to Lolla, and with good reason. Each year, the festival draws big name artists to headline and smaller ones to get their name out and about in the world. The headliners this year include The Killers, The Cure, and Mumford and Sons, who are each headlining a different night. As you can imagine, tickets for Lolla are a hot commodity. This year, a three-day pass was $235 and a single-day pass was $95. I had originally intended to buy tickets for Saturday and Sunday, but while I was buying my Sunday ticket, the Saturday tickets sold out! It turns out that tickets were gone in a record amount of time this year, so I consider myself lucky to be going only one day. If you’re still wanting to buy tickets for this year, Stubhub is probably your best bet. But be ready to pay a hefty price; single day tickets range from about $120 to $5000. What do you think? Any songs that you like? Tweet at me or comment below! Like the title says, this is my last post for the school year! 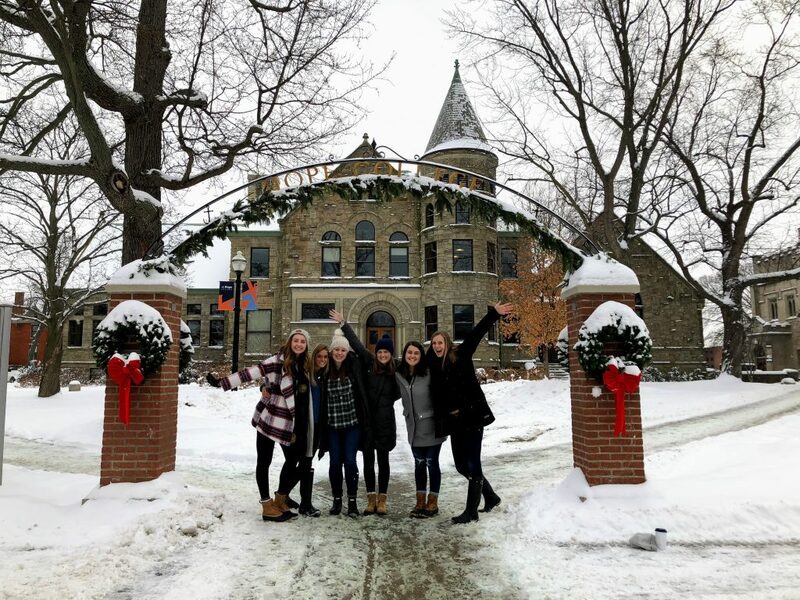 I’ve enjoyed blogging for you and I can’t wait to start again in the fall 🙂 If you are going to be on campus, feel free to say hi! My Review of 1D’s Take Me Home! I don’t know if these guys even need an introduction. In the very slim chance that you have no idea who they are, here is a quick biography: One Direction was formed in 2010 on the UK’s version of the X Factor. After having come on the show individually, Harry, Niall, Zayn, Louis, and Liam formed a group at the suggestion of Nicole Scherzinger. The group become surprisingly popular on the show, and have since grown to become the biggest pop act in the world right now. This past Tuesday, their second album, Take Me Home was released. If you follow my twitter, then you know that I purchased a copy. I have been listening to it non-stop, and I think that I have heard the songs enough times to review them! Overall: This album is a big step in the right direction after Up All Night. The boys grew up a lot in between the two albums and it shows completely. 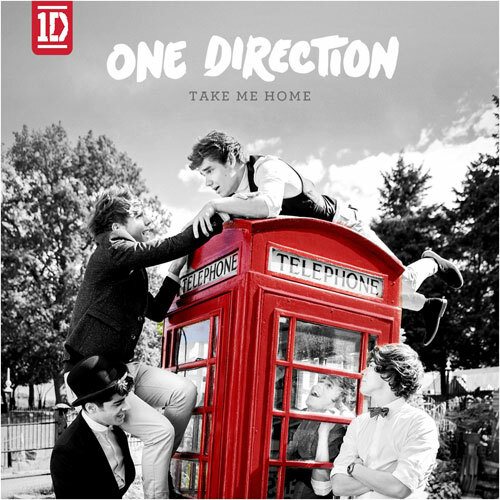 In order to enjoy Take Me Home, you have to take it for what it is, which is not much more than teen pop. Don’t expect to listen to one of the greatest albums of all time. If you are able to get past that, you will like this album. Happy listening! Let me know what you think, either on here or on twitter! A Few of My Favorite Things: Hope Edition! There are so many thing I love about Hope. Like, a ton of things. So I thought I would show you some of the ones I am enjoying at the moment! 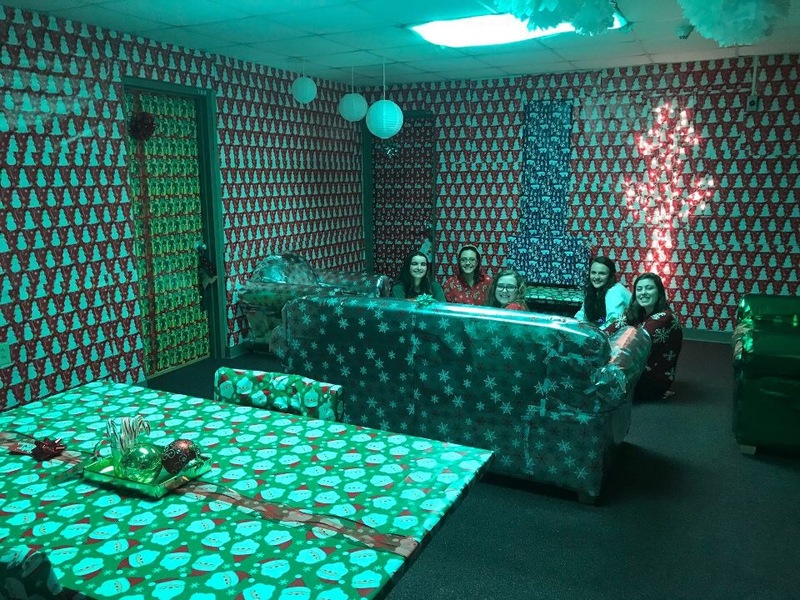 One of the best parts about being a returning student in a residence hall is that there is a pretty good chance you know at least some of the people where you’ll be staying. Luckily for me, two of my really good friends from last year, Ann and Meghanne, live in the same hall as I do, and I use that to my full advantage. Whenever I need to get out of my room for a little bit or just need someone to talk to, I can always go here. The best part: they always have candy! 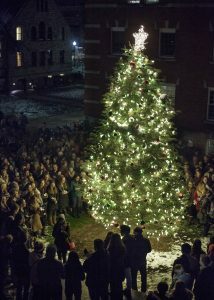 I was in a beginning piano class and in the Hope Orchestra last year, so I practically lived in Nykerk Hall of Music. 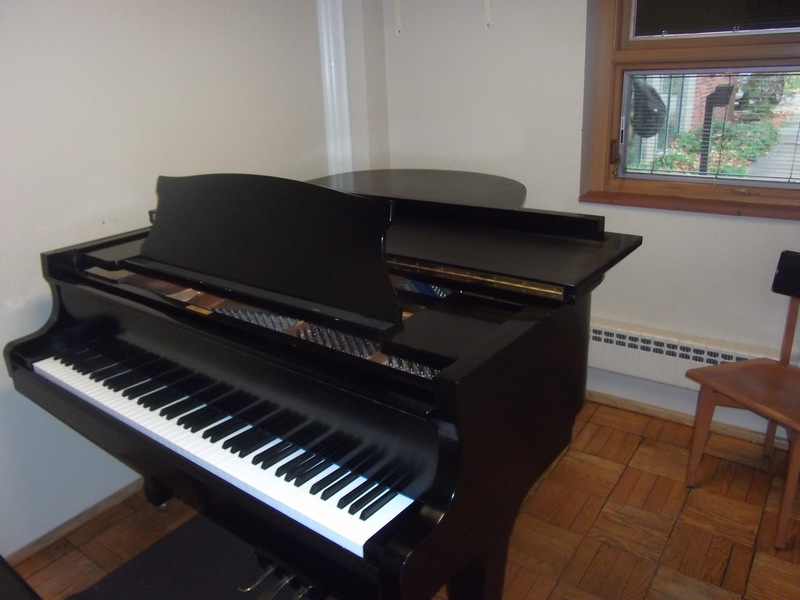 Before each piano class, I would go into this room and practice my scales or whichever song I needed to have ready. The pianos in Nykerk have such a rich sound that even if I was playing something simple, it sounded amazing. I had orchestra five times a week, but whenever I felt like I needed to work on a certain piece or section more, I would go into the practice room and play for however long I felt like I needed to. The great thing about the practice rooms is that they have windows that open so you can let the campus listen to what you’re playing! This also doubles as a nice study room, which is what I’m using it for right now. There is a Chapel service offered every Monday, Wednesday, and Friday from 10:30-11:00 AM and a Sunday evening service called The Gathering at 8 PM. I usually go to The Gathering every week and Chapel on Monday and Friday. 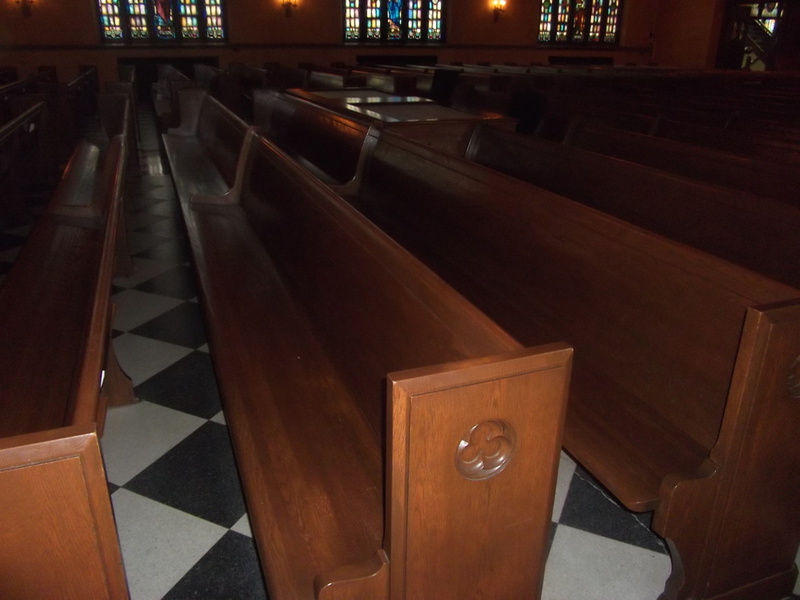 When I go, I always try to sit in the same spot: 2 pews ahead of the sound board on the left side. It’s not too close and it’s not too far back; I like to think of it as the “sweet spot.” I know it’s going to be a good day when I can sit there! I discovered this little gem in the basement of Scott Hall when I lived there last year. 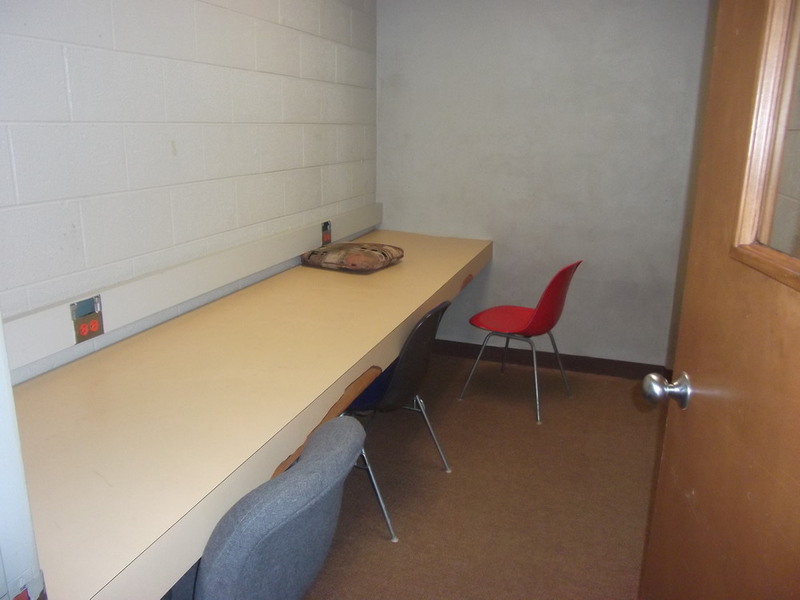 As you can see, it’s a little room with no windows, perfect for getting some real work done without any distractions. When I was taking a biology class last year that required almost all of my attention, I was in here more than I was in my own room! 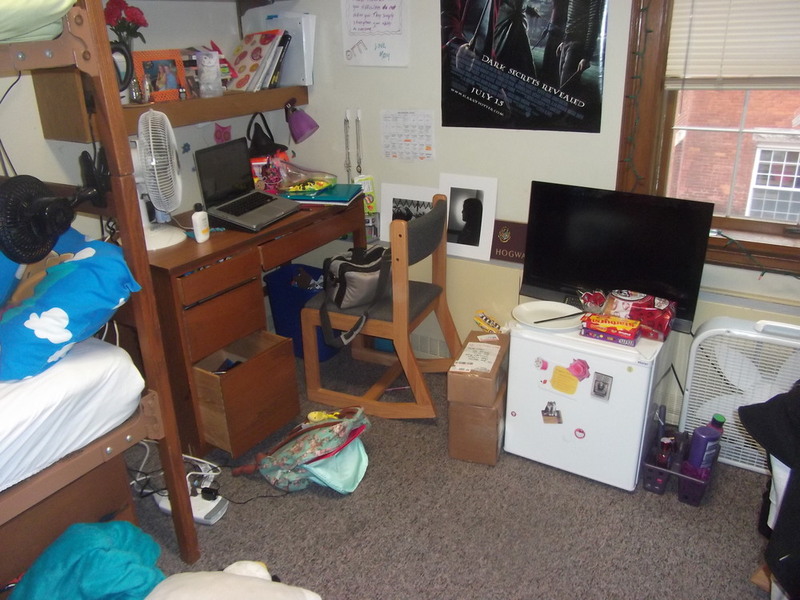 Now that I no longer live in Scott, I don’t frequent this room as much, but I still use it from time to time and I would recommend that you check it out too! Some time ago, I wrote about my love of all things coffee. That hasn’t gone away, so I’m still getting several drinks from Cool Beans a week. I go for the drink, but stay in the cozy area because it’s such a nice place to relax or get some homework done. My usual order right now is a Black Squirrel with soymilk. Sooo yummy!! There you have it! I will do another favorite things post sometime in the future, but until then, what are some of your favorite things right now? I’m Going to a Concert!! introduce you to one of the best bands ever! England that debuted in 2004 with their multi-platinum album, Hopes and Fears. It is one of the best albums I’ve ever heard and what got me hooked onto them. passionate but at the same time so lyrically and musically beautiful. 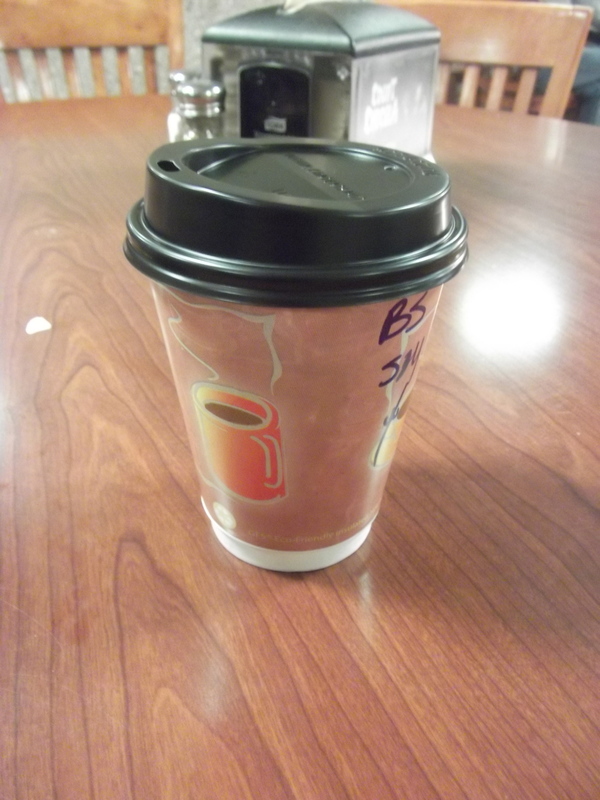 to in almost any situation is “Sovereign Light Cafe”. excited for this one!! I know Sarah and I will have a blast! listen to? What was the last concert you went to? Let me know!